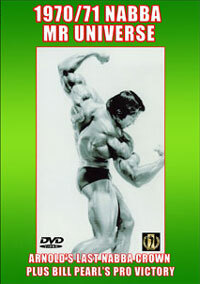 Men of Muscle # 7 - Back with a Vengeance: "VICIOUS MUSCLE"
Home :: Men's DVDS :: Men's Bodybuilding DVDs :: Mark Dugdale "DRIVEN"
Mark Dugdale "DRIVEN" A real life documentary examining the life of a Pro-Bodybuilder. 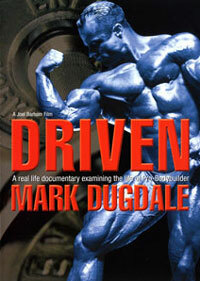 In the spirit of reality TV, DRIVEN is a modern day documentary that takes you on an intimate journey of professional bodybuilder Mark Dugdale's life. Witness Mark's nutrition and training program as he prepares for the 2006 Iron Man Pro, including a rare inside view of Mark's family life and business. From intense dedication and focus in the gym, to the heart-warming quiet moments with his children. 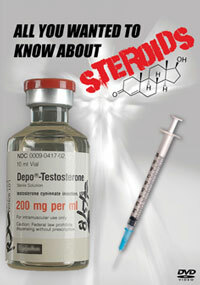 Observe what it takes to be a successful professional bodybuilder, family man and business owner! Over a year ago I went to lunch with an old friend, Joel Barham, from back in my high school days. Joel and I competed against each other in our first competition back in 1993, the Northwest Natural in Portland, OR, and became good friends ever since. Joel now lives in Florida teaching English, but came to visit family in Seattle last year. 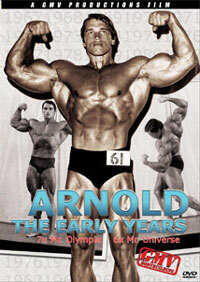 I took him out to lunch and we discussed what it was like for me now that I was an IFBB professional bodybuilder. 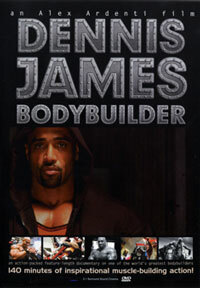 I brought up the fact that I wanted to come out with my own training DVD, similar to what other pros offer. To my surprise, Joel said he had a real passion for film making and had done a few short films in his spare time. Despite not seeing any of Joel's work, I agreed then and there to have him direct and edit my first DVD. The next step involved deciding what exactly the fans would want to see in the DVD. The resounding response via my web site, entailed people asking to see how I live my life outside of the gym. What is it like to own and operate a business; be a husband; be a father to three daughters; and train and compete against the best physiques in the world. 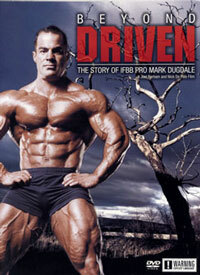 Basically, aside from the training, who is Mark Dugdale and how does he live his life? With this in mind Joel felt the best way to shoot the film was over the course of my prep leading up to the 2006 Iron Man Pro. He thought it should be shot in the spirit of reality TV, whereby, aside from interviews inserted throughout, I don't directly speak to the camera when filming. In Joel's words, "He would be a fly on the wall, observing." 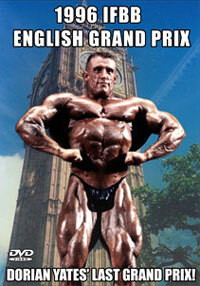 The result is not just a training DVD, but a bodybuilding documentary. One thing I never considered until filming DRIVEN, involved legal issues surrounding audio copyrights for music. Thankfully Joel's older brother, Isaac Barham, agreed to help us out. Isaac did all the audio for the intro, the training scenes and is the artist for the song Love's Sure a Funny Game which runs during the Special Thanks. 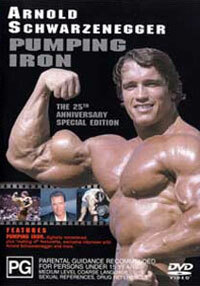 Isaac inspired me with his biceps as a teen, so his involvement made the audio even more special on a personal level. Another big contributor of music was the church I attend - Mars Hill Church. The Parsons and Team Strike Force both contributed several songs to DRIVEN. DRIVEN culminates with the weekend of the Iron Man Pro, in which John Balik agreed to provide me with footage from the weigh-in, prejudging and finals. Wayne Gallasch from GMV went above and beyond by providing high quality footage of each of these events which Joel incorporated into DRIVEN. DRIVEN is special for me on several levels. One, I got to capture a moment in the life of my family. Years later I can look back on this DVD with fond memories of when my daughters were young. Two, I enjoyed collaborating with one of my best friends, Joel, who literally took DRIVEN from an idea to reality and vastly exceeded my expectations in the process. Three, it's my first DVD and something I think the fans will truly enjoy.